3 Why study E-commerce in China? 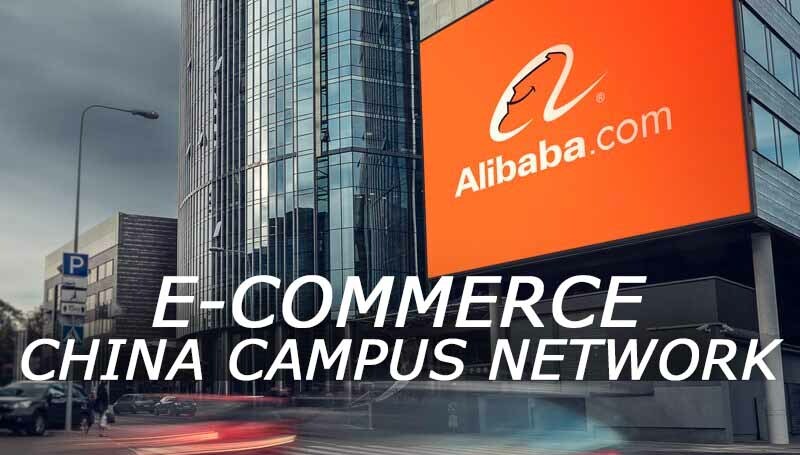 It is Bachelor’s degree Study & Practices E-commerce CCN (China Campus Network) and Alibaba GET joint program, including a bachelor’s degree in Economics, internship, scholarship, employment. To train e-commerce top managers and entrepreneurs. Why study E-commerce in China? Chinese online companies now are the leaders and the main innovators in the world of e-Commerce. China is the largest online market with 470 million online shoppers, and by the amount of non-cash payment. China = 70 x US. According to the “one belt – One road” initiative, the online silk road is aimed at strengthening international cooperation with the countries of the region, expanding the capabilities of the Internet infrastructure and promoting the development of cross-border e-Commerce. 90% of goods purchased through cross-border e-Commerce come from China. AliExpress – the most popular e-Commerce website in South Amerika, Russia, Central Asia. In summer, you will have the opportunity to work in the company’s e-commerce platform Alibaba, in particular, in the field of operating platform, sales, customer relations, supply chain management, etc. You will spend the 3rd year of bachelor degree working in e-commerce company on Alibaba platform, in particular in the field of operating platform, sales, customer relations, supply chain management, etc. Implement an entrepreneurial project with the support of academic and industry mentors. In the last year of the bachelor’s program you will combine previously acquired academic and practical skills and prepare a quality thesis. The student will spend the first year of pre-University preparation (IFP) at the new CCN flagship center in Shanghai. After IFP, the student will be enrolled in the faculty of Economics with a degree in international Economics and trade (e-Commerce class Alibaba GET) at Shanghai University and there will continue to study for the degree. 1-bed in a block for 2 rooms – 10 800 yuan for 12 months. from 0 to 10 000 yuan under the grant (depends on the grant). 7800/10800 yuan in 12 months. From the 2nd year from 0 yuan (grant category A0-2). from 0 to 16 000 yuan under the grant (depends on the grant). from 0 to 16,800 yuan under the grant (depends on the grant). 2-seater: 1,600-2,500 yuan per month. GET modules and lectures provided by Alibaba GET-accredited trainers and practitioners. High-tech educational e-commerce platform, exclusively for GET students. The issue with GET certificate. PrevWhat is HSK Chinese language exam?